Major investments usually require major maintenance. That might as well be a fact of life. Just think of the care given to your home and your vehicle after each was bought. With the purchase of an RV, regardless of the size, you now have another of each. Keeping your ‘home away from home’ in pristine condition will require constant monitoring and the application of several key protective measures. Developing the habit of checking for these things will help ensure that you are enjoying life on the road for many years to come. Take a look below where we point out some obvious, and some not so obvious, tips for caring for your RV. 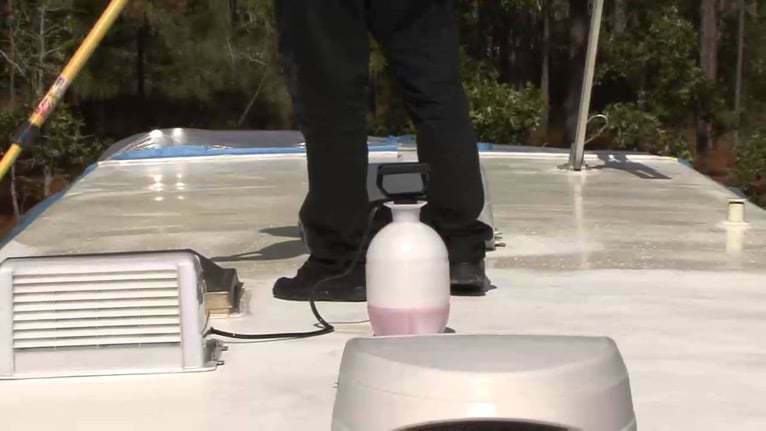 This ensures that the rubber, commonly found on the roofs of many RV’s, does not dry, crack, or fade from the harsh exposure to wind, rain, and sunlight. It can, also, prevent dirt and grime buildup from parking under tree canopies. Make sure to select the correct treatment for your roof, as there are different material compounds, and therefore they require different treatments. Removing tree branches, leaves, pine needles or cones, and any other debris from the top of your slide-outs before retracting should be a key component to your break-down checklist at the conclusion of every trip. This, commonly overlooked, task can help prevent scratching of components or, even worse, mechanical malfunction of the motor which powers the retraction. A capful of bleach poured down your water connection hose can help keep it clean and fresh. Pro Tip: Keep a spray bottle of bleach in your camper storage for use at the water connection post when arriving at a new site. If the previous camper has rinsed their sewer hose by placing it around the spicket, a little bacteria killing bleach will offer peace of mind from potential bacteria contamination. Do this both inside and outside, as it helps ensure that the seals do not dry, crack, and offer reduced sealing performance. Travelling down an interstate highway with their 38-foot fifth wheel, my parents once noticed several passing drivers trying to get their attention. When they pulled over to inspect the camper, they found every RV owners worst nightmare. Unbeknownst to anyone in the truck, one of the camper tires had developed a leak. Over the course of many miles, it had been shred down, causing damage, not just to the tire, but to the floor above the wheel well and existing sheet metal on the frame. It also placed considerable loads on the remaining good tire which was, also, damaged. Ultimately, over a $1,000 in repair was shelled out over, essentially, a tire leak. 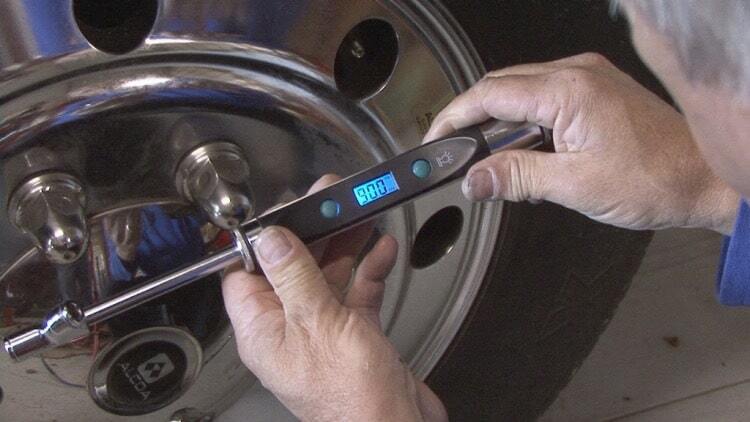 Just like with your everyday vehicle, monitoring your RV tires’ pressure is an important step to preventing damage. They soon invested in an RV tire pressure monitoring system to help catch any changes before they ever turned into serious repairs again. Placing a small wire screen over each of these openings, such as the vents from a heater or hot water tank, can prevent insects from building nests in these hollow compartments. Bees’ nests are highly flammable, and when placed near heat output in a confined space, there is considerable risk of starting a fire. Plugging your RV power supply directly into the box found at most campsites may be asking for serious electrical damage in the event of power fluctuations, which are common at campgrounds. Instead, plug into a portable surge protector like this one (specific to the power needs of an entire camper) to prevent damage. Display lights on the protector are also a convenient way to confirm proper power supply at a site before setting everything up. Since this isn’t something that’s necessary with most standard vehicle tires, many new RV owners mistakenly, skip this scheduled maintenance. RV tires are designed differently, however, and the lubricant grease applied around the bearings needs regular, annual monitoring. Expensive bearing damage can result if the seal breaks. This is most important during long periods of storage or during the colder, winter months, which can quickly drain the battery. Doing so, annually, will prevent corrosion of the tank. While most RV maintenance takes place on the exterior features of the camper, there are still a few items to keep an eye on inside as well. It’s easy to forget this simple step when putting your RV in storage, or in between trips, but it can help prevent mold or mildew buildup. Make sure that the water level within the toilet is always above the rubber gasket. If the gasket ever dries out, it can lead to leaks and foul odors making their way into your living space. As with any home, keeping your RV’s countertops clean and its floors swept and vacuumed will ensure the longest life possible. Mud, gravel, leaves, dirt, and grass are frequent deposits created by the adventures camping, often, provides. 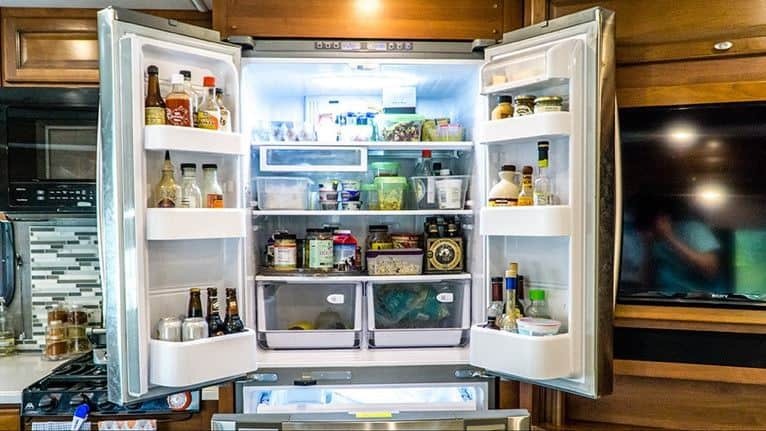 Frequently adding the proper chemicals, typically poured down the sinks or toilet, into your holding tanks helps reduce material build-up and odor. Did we miss anything? Got any tips or tricks of your own for ensuring a long and happy life for your RV? Please feel free to share them below. I’m an avid outdoor enthusiast who has gone on several excursions along the coasts and has visited 31 of the 50 United States. One of the most important things to me personally is making the most of each day. I'm firmly entrenched in the middle-class and don't mind at all. My freedom and ability to travel and spend time outdoors are more important to me than working at a desk and putting more money in the CEO’s pockets. If camping and active living is your priority, too, you’ve come to the right place.